I did not grow up in a trapping family, and came to it with very little knowledge and a lot of naivety. I didn't know a martin from a mink, and still have trouble identifying fur. My first taste of the world of trapping happened when I met my husband to be, a trapper. I feel a certain sense of honor to be counted among those who are preserving this "heritage of the bush" for future generations. Alberta trappers are successful stewards of the land and demonstrate a commitment to preserving this way of life, which has been practiced since before the birth of this great nation, we call Canada. 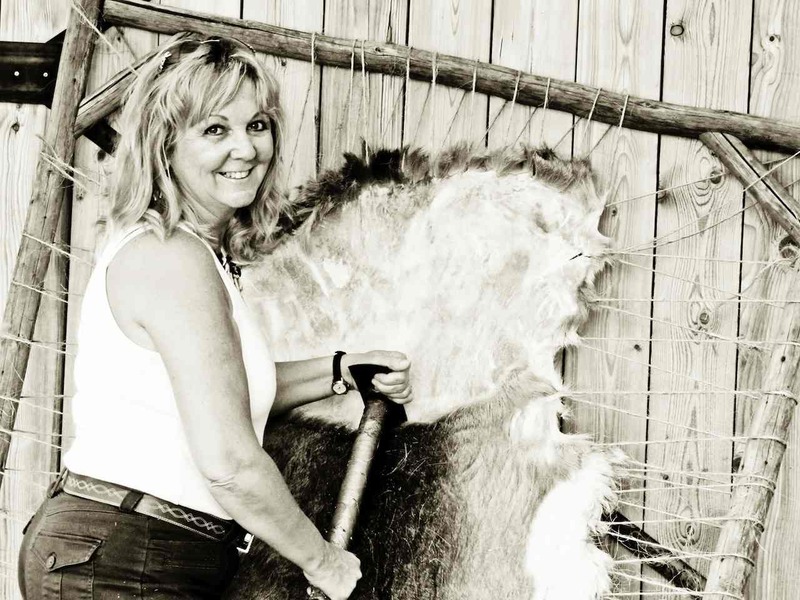 In learning to dry scrape rawhide, I found a calming rhythm while I work, and enjoy many aspects of assisting in utilizing all parts of the animals that are taken. There is a happiness and contentment comes with interacting with our environment, up close and personal. Canada's trappers have been living this life for many years and will continue to do so for years to come. - Deborah Hinter, Alberta.